Vegetable Crumble with Goat Cheese Biscuits — always with butter. Vegetable Crumble is starting to become a staple for me. I never thought a savory crumble would be so good. Making them in the individual mini Le Creuset dishes are the perfect size. I saw them at the store and couldn't resist getting them. They fit pretty much in the palm of my hand and are just so adorable. Whenever I make a large dish of the crumble, I always end up picking off all of the crumble bits, so the mini dishes let other people have some too! 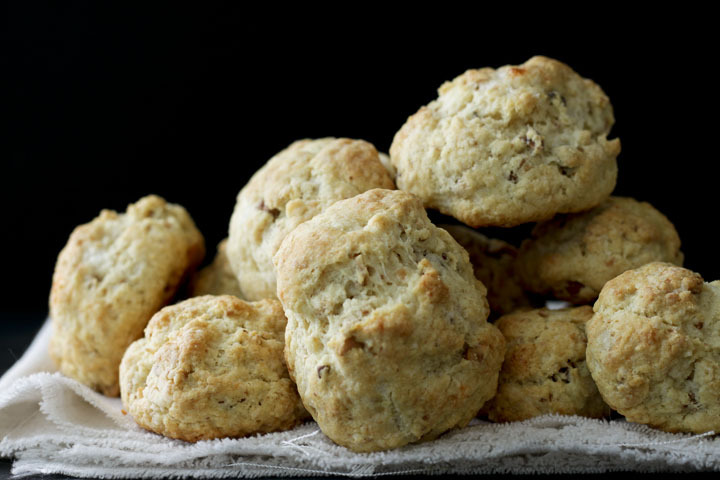 Goat Cheese Hazelnut Biscuits. Sounds like a strange combination. When I first got the hazelnuts, from Oh! Nuts, I was looking up a lot of recipes and only came up with desserts. I wanted to make a savory dish with them as well, just since I had never really experienced hazelnuts before so I wanted to use them in many different ways. This recipe seemed like the best way I found to use them in a savory dish. Plus it had goat cheese, and any excuse for me to buy some of that delicious, melt in your mouth cheese, I will take. They are the perfect accompaniment to a plate of veggies. Oven 375F. Grease or line with parchment a baking sheet. Whisk flour, sugar, baking powder, baking soda, salt and hazelnuts. Cut in butter until it forms coarse crumbs. Stir in goat cheese then set aside. Whisk egg with buttermilk. Add to flour mix and stir until just combined. 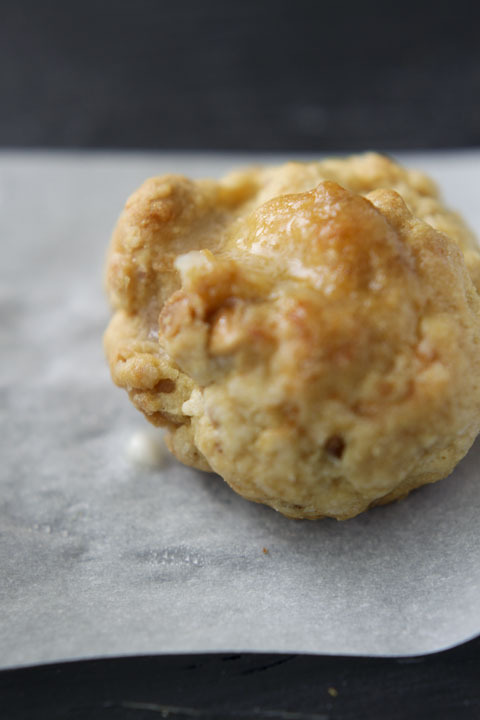 Form 1/4 cup balls then place on baking sheet, flattening slightly.